Body-mind training for students of all ages. Where will you start? 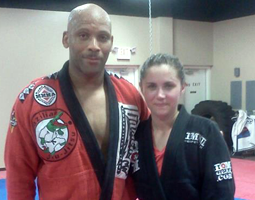 Have your child supervised, assisted with homework, and trained in martial arts for one low price! Includes transportation. Owner and lead instructor, Professor Darren McCall is a Brazilian Jiu-Jitsu 3rd Degree Black Belt & 1st Degree Judo Black Belt. We are North Houston’s and Humble/Atascocita’s premier Martial Arts Academy offering the best training in Brazilian Jiu Jitsu, MMA, and Muay Thai Kickboxing training in the metroplex. It is our mission to provide students with a safe, clean, positive and professional environment where they can get quality instruction as they develop their techniques and personal skills that will have a life changing influence. Why Choose McCall Mixed Martial Arts? Qualified instructors with 5 years and more training experience teaching all of our classes. We have a waiting area, lockers, and we have men and women bathrooms along with showers. Affordable, fun, and productive after school programs. A low stress environment that puts an importance on having fun while training, yet being safe, and training hard. 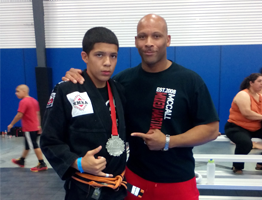 McCall Mixed Martial Arts is the representative school for Humble, Tx under 6th degee black belt Murilo Bustamante! 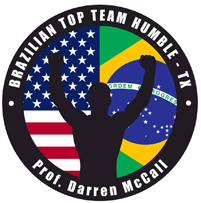 Brazilian Top Team, a nationwide network of the premier martial arts academies, was established over 15 years ago with the goal of continuing to grow the field of Jiu Jitsu, Muay Thai Kickboxing, and MMA with new innovative techniques, teaching methods, and friendly competition.